PRADEEP BASHYAL: Duck or run? 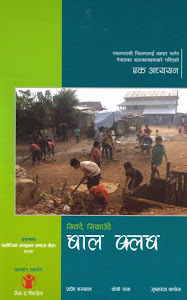 → Kalpana Gajurel was preparing for her +2 examination in the front yard of her house in Laharepauwa of Rasuwa district. As soon as the earthquake struck, she ran inside and hid under the bed as she was instructed in school. The house collapsed, the bed crushed her. → Five children who were playing on an open field in Kahule of Nuwakot district went running into their house and hid under a bed when the shaking started. All of them were killed. → Bil Prashad Shrestha of Aarughat of Gorkha lost his daughter after he wished her a long life on her birthday. His wife and daughter were upstairs when the house started shaking. His daughter didn’t come down saying she had been told to take cover under the bed. The house collapsed, and there was no one to rescue her. When found, she was dead. Earthquake awareness programs in schools have repeated it over and over again: stand under the door, hide under the desk or bed if there is an earthquake, but do not run. Most of those who ran in last month’s earthquakes lived, but many of those who followed the instructions died. This has prompted experts to question their emphasis on the Drop, Cover and Hold (DCH) method of earthquake safety. The death toll could also have been much higher if the earthquake had struck during a school day. In fact, DCH takes into consideration several factors like the strength of the structure, the floor in which people are in and how many of them are there. But when only two factors (not to run, and to duck) were emphasised in earthquake awareness programs it did not help save lives. DCH is effective when the roof of the house isn’t too heavy, in houses with concrete pillars, and most importantly, when one can’t reach a safe open space immediately. Israel has had a policy where the desks in schools must be able to withstand at least 1 ton of weight. Houses in Japan are made of lighter materials and there is good earthquake education there. The DCH method is useful in both contexts. Experts say that DCH shouldn’t be promoted in buildings made of clay-mortar, houses with heavy roofs and those without required engineering. That is exactly what went wrong in most of the rural areas of Nepal. NSET has informed that the 117 schools based on seismic-resistant designs in Kavre, Tanahu, Sindhupalchok, Makwanpur, Nawalparasi, Sunsari, Udaypur, Rasuwa, Lamjung along with those in the valley didn’t suffer any damage and are currently serving as shelters for survivors. Even if the earthquake was on a holiday, 44 teachers and 26 students lost their lives. It was also a problem that those trapped underneath the rubble took a long time to be rescued. The Nepal Army, which was mobilised immediately for the rescue didn’t have necessary equipment to rescue survivors under concrete structures. “If Nepal Police was trained and equipped for such rescues, more people could have been saved,” said SSP Sarbendra Khanal. First Appeared in Nepal Magazine. Reappeared with English Translation in Nepali Times.